With major players like AT&T, DirecTV, Verizon and Comcast, the telecommunications sector is littered with well-known companies. Buy what you know is a tried-and-true investing approach popularized by venerable stock picker Peter Lynch in the 1980s. The idea is that investors should buy stock in companies they know and understand. An updated version may be buy what you use. 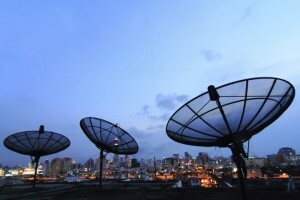 Bargain-hunting investors looking for value and income can consider the telecommunications sector, bullish analysts say. This sector includes both wireless and broadband cable companies that serve millions of households. And they’re particularly hot stocks now following last week’s announced merger between sector giants AT&T (ticker: T) and DirecTV (DTV).